The Marvel Fact Files Special features the Iron Man's right hand man, War Machine! The statue presents the character atop an Avenger's logo base! The figure comes complete with a 20-page magazine detailing all you need to know about the Marvel hero. 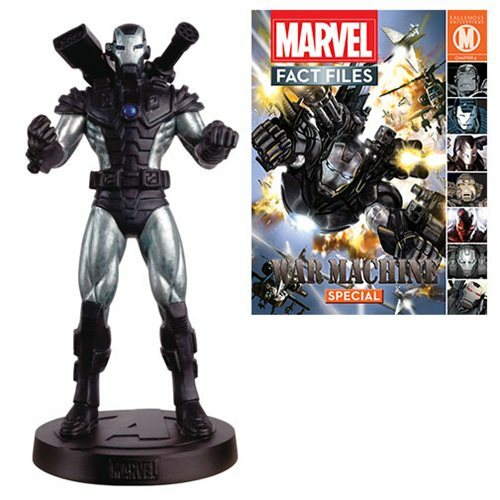 The Marvel Fact Files Special #24 War Machine Statue with Collector Magazine is a must have for any fan! Ages 14 and up. Marvel Fact Files Special #21 Luke Cage Statue with Mag. Marvel Fact Files Cosmic Special #2 Star-Lord Statue & Mag.